This fall Pro Evolution Soccer strikes back onto the pitch to showcase dazzling new skills. Pro Evolution Soccer 2013 returns to the roots of football with unique levels of control plus major emphasis on the individual style of the world’s best players. Thanks to feedback from dedicated fans, PES2013 offers total freedom to play any kind of ball, which for the first time includes full control over shooting and first touch. Endorsed by Cristiano Ronaldo, PES will continue to push boundaries, perfectly reflecting the genius of top level players and capturing the essence of modern teamwork. The result will be the most faithful recreation of modern day football to date. Many of the new features and improvements in PES 2013 are based on fan feedback, that we collected throughout our official channels. Thanks to the passionate support of thousands of players, we have analysed and processed various facebook posts, tweets, emails and surveys in order to create the game that you the fans are looking for! The essence of football is connection with the ball. The way players pass, control and strike. By honing these basic skills, the best can perform magic on the pitch. The rest is teamwork. At the heart of PES2013 is this ethos. By carefully redeveloping and refining controls, adding deeper levels of freedom and building a more complex AI engine, PES is going back to the origin of football. Following consultation with football and PES fans, PES 2013 delivers the total freedom to play any style of ball, gives full control over the placement and style of shots, and features stunning recreations of the game's biggest names: perfectly mimicking the way they run, move both on and off the ball, and skills. 50 of the world's greatest players have been studied and brought to vivid life in PES 2013, and are instantly noticeable in the way they play on screen. Train Simulator 2012 is the sequel to the award winning RailWorks 2, based on the new TSX game engine®. Train Simulator 2012 is the most realistic train simulator in the world, with the best graphics and sound available, along with a wide range of quality content and optional add‐ ons, plus modelling tools to allow you to make your own rail environment. Core 2 Duo 2.8 GHz, 2 GB RAM (4 GB RAM - Vista/7), graphic card 256 MB (GeForce 7600 or better), 6 GB HDD, Windows XP/Vista/7. Sebelum bertanya pastikan baca dulu F.A.Q dibawah ini. percuma dong ane buat F.A.Q kalo cuma buat pajangan..
A: Gan ini bener Gudang PC Games? A: Gan masih jualan game gak? selama blom Tertulis "CLOSED" dilapak ane, silahkan order dan borong sesuka hati. A: Gan harganya bisa kurang gak? A: Bisa rekber alias rekening bersama gak gan? B : Gak menerima rekber, game 1000% pasti dikirim, dijamin gak ada tipu mentipu, murni cari uang halal. A: Gan kalo gw order nanti, gamenya pasti dikirim kan? jangan" nipu lagi? A: Gan gamenya udah bisa dimainin semua blom? A: Gan semua game udah full version? A: Gan gamenya kok gak ada cracknya? gak bisa dimainin dong? B : Itu cracker yang ngrilis crack. A: Gan dilist game ada keterangan DLC, Expansion pack, Patch itu apa ya? A: Gan, gamenya error nih? B : Errornya gimana, kasih rincian yang jelas. klo perlu kasih screenshot biar kita sama" tau. A: Gan, udah sesuai petunjuk, tp kok gamenya masih error, padahal spek pc gw Dewa banget. B : Spek dewa kalo disystem gak keinstall software kebutuhan game sama aja bohong. sms aja msalahnya, ato klo perlu upload(tag) foto screenshot yang error ke facebook ane. A: Gan, cara negecek system requirements gimana? kamu pilih gamenya, trus klik "can you run it"
A: Gan, gamenya jalan disemua Operating system gak? A: Cara ngecek 32/64bit gimana gan? A: Gan, udah beli mahal" masak cuma dikasih DVD blank? B : Lihat permukaan DVDnya, ada garis hasil burningannya gak? Coba ke DVD Rom yang laen..
A: Gan, pake JNE Yes kok sampenya lebih dari sehari? makanya ada yang sampe cepet dan sampe lama. A: Gan pake JNE Oke kok sampenya sehari? B : Emang maunya sampe berapa hari?? haha.. agan lagi hoki tuh. A: Udah ditunggu seharian kok blom di sms resinya? A: Gan gamenya dikirim dulu bisa gak? transfernya belakangan. B : Transfer dulu gan, ane pernah ketipu sekali..hehe, jadi gak nerima utang. A: Gan tokonya di mana? A: Bisa COD an gak? B : Bisa, khusus daerah cepu dan sekitarnya. diluar itu maaf. sangat menyita waktu. Di luar Cepu pembayaran hanya lewat Mandiri. Dan dikirim pake Jasa service JNE. A: Gan gw gak punya rekening nih, bisa bayar pake pulsa gak? B : Maaf gak bisa, Pembayaran hanya lewat transfer bank Mandiri. udah kebanyakan pulsa gan. A: Trus gimana dong transfernya? B : Kalo gak punya ATM bisa dateng ke bank Mandirinya langsung . A: Gan gw udah transfer nih..
B : Transfer kemana? jumlahnya berapa? rekening siapa? atas nama siapa? konfirmasi harap detail agar tidak terjadi kekeliruan. dari no rek BCA xxxxxxxx an. Olga Syahputra, rekening Bapak ane H.Sahidin. A: Gan, disms kok balesnya lama? Ane juga manusia, bukan robot gan..
A: Telfon kok gak diangkat" sih? A: Gan kalo pake ekspedisi selain JNE bisa gak? A: Gan udah ane transfer ke rekening agan Bla2........ dikirim hari ini ya? B : Sesuai rules, setelah transfer game akan dikirim besuk, tergantung jumlah pesanan dan antrian..jadi gak ada istilah transfer hari ini dikirim hari ini. nah besuk kan hari libur/hari besar/tanggal merah, apa paketan gw besuk bisa sampe dirumah? kecuali service reguler dan oke. 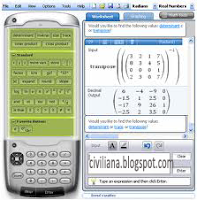 Microsoft Mathematics 4.0, adalah salah satu software buatan Microsoft yang berlisensi freeware. 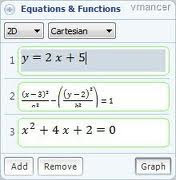 Microsoft Mathematics dapat digunakan untuk melakukan perhitungan matematika seperti Trigonometri, Integral, Turunan, Limit Fungsi, Eksponen, Logaritma, Matriks dan masih banyak lagi. Microsoft Mathematics dilengkapi dengan kalkulator grafik fitur lengkap dengan kemampuan seperti halnya kalkulator genggam. Juga alat matematika tambahan yang dapat membantu Anda dalam mengevaluasi segitiga, mengkonversi dari satu unit sistem ke unit sistem lain serta memecahkan sistem persamaan. Microsoft Mathematics dirancang untuk dapat membantu siswa/mahasiswa dalam memecahkan persamaan langkah demi langkah, sambil mendapatkan pemahaman dasar dalam pra-aljabar, trigonometri, aljabar, fisika, kimia dan kalkulus. Microsoft Mathematics, tersedia dalam beberapa versi bahasa, yaitu : Chinese (Simplified), Chinese (Traditional), Danish, Dutch, English, Finnish, French, German, Italian, Japanese, Korean, Norwegian (Bokmål), Portuguese (Brazil), Portuguese (Portugal), Russian, Spanish, Swedish, Thai, dan Turkish. Core 2 Duo 2 GHz, 2 GB RAM, graphic card 512 MB (GeForce 8800GT or better), 7 GB HDD, Windows XP/Vista/7. 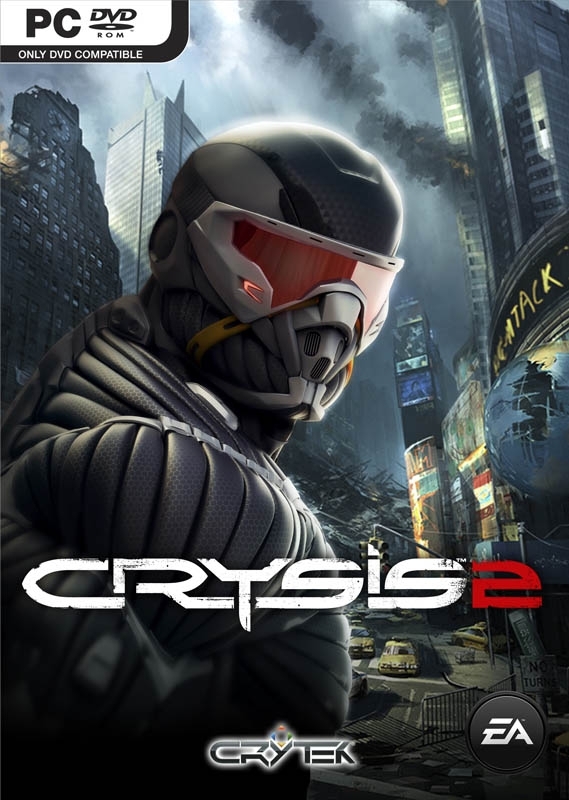 Renowned for their technical excellence, artistic craftsmanship and commitment to quality, Crytek is building Crysis 2 on their new state-of-the-art multiplatform game development solution CryENGINE®3. 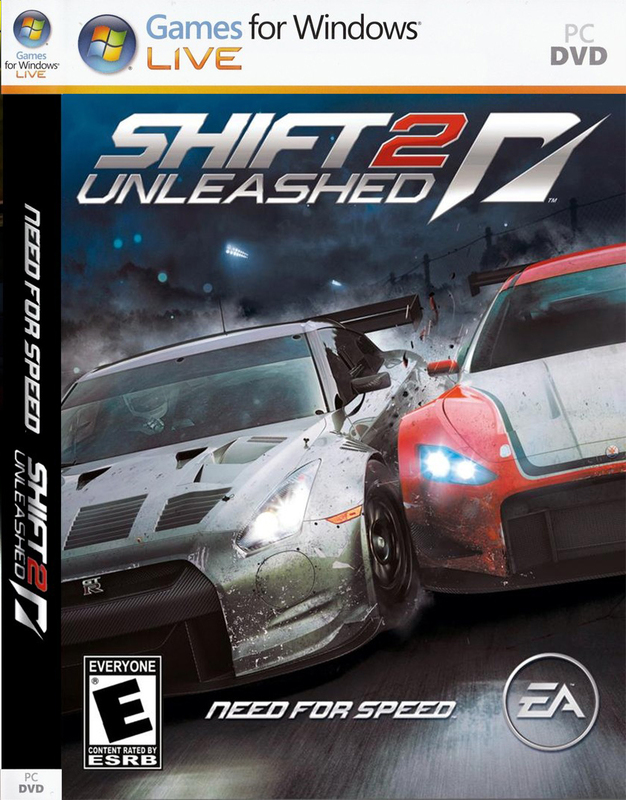 Suggested system requirements :Core 2 Duo 2 GHz, 2 GB RAM, graphic card 512 MB (GeForce 8800GT or better), 9 GB HDD, Windows XP/Vista/7. The next instalment in the popular action series returns in Lost Planet 2. Lost Planet™: Extreme Condition, the landmark third-person shooter that debuted on Xbox 360, went on to sell over 2.2 million units worldwide after its release. Lost Planet 2, will offer deeper insight into the world of E.D.N III and the uncertain fate of future mankind. A decade has passed since the first game, and the face of E.D.N. III has changed dramatically. Terraforming efforts have been successful and the ice has begun to melt, giving way to lush tropical jungles and harsh unforgiving deserts. Players will enter this new environment and follow the exploits of their own customized snow pirate on their quest to seize control of the changing planet. Players will control their heroes across 6 interconnected episodes, creating a truly unique interactive experience that changes depending upon the actions of the players involved. With this concept, players will have the opportunity to engage in the story in a much more dynamic way as plot threads evolve from different players’ perspectives. Core 2 Duo, 1 GB RAM, graphic card 256 MB (GeForce 7800 or better), 13 GB HDD, Windows XP/Vista/7. Dynasty Warriors 7 (真・三國無双6 Shin Sangoku Musō Roku?, known in Japan as Shin Sangoku Musou 6) is a Beat_'em_up video game and the seventh official installment of the Dynasty Warriors series. It is developed by Omega Force and published by Koei. The story is based on the Chinese writer Luo Guanzhong's historical novel Romance of the Three Kingdoms. 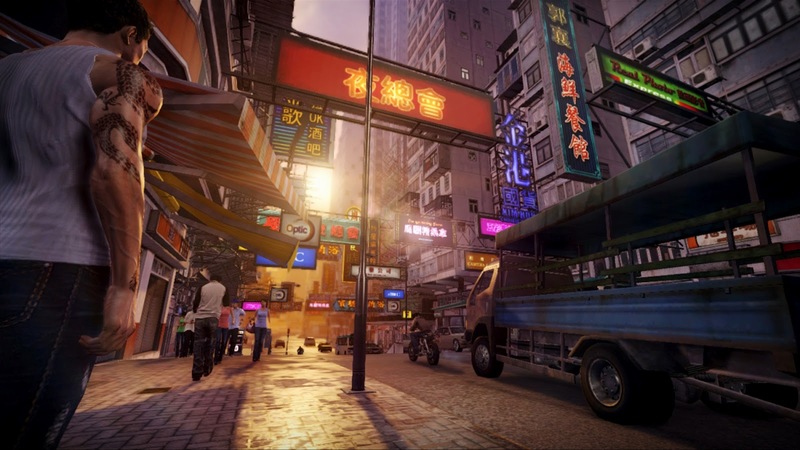 The game was unveiled at the 2010 Tokyo Game Show. On October 26, it was revealed at the Koei Press Conference to have improved graphics and gameplay, with the support of stereoscopic 3D. Tecmo Koei released it in North American on March 29, 2011, in Europe on April 8, 2011 and in Australia on April 14, 2011, after news that it has been delayed and was released on both the PlayStation 3 and Xbox 360. Tecmo Koei Japan had released Dynasty Warriors 7 with Xtreme Legends, along with downloadable content up to October 2011 released on PlayStation 3 version, on Microsoft Windows. Intel Core i7 2,66 GHz, 3 GB RAM, graphic card 1 GB, 15 GB HDD, Windows XP/Vista/7.